The first recorded Vicarage in the village was on the east side of St. Bartholomew’s Church in Pasture Lane where the first pair of model estate cottages now stand, numbers 3 – 5, in the renamed Carr Lane (name changed around 1900). In 1606 the surrounding land was mentioned as belonging to Sir Thomas Darnell. The Vicarage was a three storied house, consisting of six bays, built of stone and mortar, and covered with a thatched roof. The Vicar was Rev. Thomas Seward and the Churchwardens were Tobias Temple and Thomas Ray. The next record of Appleby Vicarage is in 1690 when land adjoining the old Vicarage had changed hands and now belongs to Sir Edmund Winn, Bart. The position of the house is now on the west side of the church, where the estate nursery was. This land at the present time is planted by a local gardener’s family, for the raising of cut flowers, which are sold from their Ermine Street home. This Vicarage contained four bays built of stone and thatched, with a barn, stable and outhouses together with a free common. Part of the vicar’s income, came from certain lands situated in the Parish of Risby, which is reckoned with Appleby. The Vicar was Rev. Richard Banks and the Churchwardens were James Wilson and Elias Burringham. The Vicarage stood in its present position until the time that the Reverend Eric Rudd was vicar. He was the Rector of Thorne, in Yorkshire, and kept a curate to be in charge of Appleby Church. About 1849, this old house having become unsuitable, a new one was built on the East side of Ermine Street, on a site leading out of the village towards Broughton, and now known as ‘The Old Vicarage’. Certain lands were exchanged between Sir Rowland Winn and the Vicar to make this possible. The first person to occupy the new house was the Reverend John Edward Cross who came as a curate to Mr Rodd. Soon afterwards he was appointed the Vicar himself and remained for over 40 years. He made extensions to the house in 1852 and created a Boarding School wing, to educate the fee paying sons of gentleman. 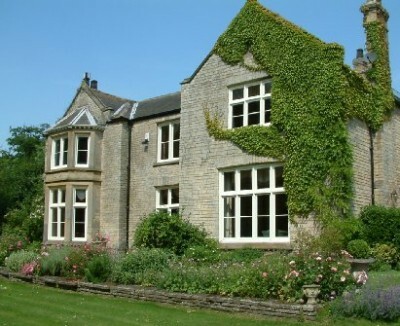 The spacious accommodation housed ten boarders, whose subjects covered; English Literature, Latin, Greek, French, History, Maths, Business Training, Economics, Nature Studies, Tennis, Cricket, and Football. Optional extras included; Piano, Violin, Singing and, at one point, Shorthand. Canon Cross, as he later became, retired eventually to Scarborough, where he died but was brought back to St Bartholomew’s church in Appleby for his burial. His grave is the first one inside the entrance gates. Other vicars followed down the line until 1934, when it was felt that the income of the Parish was not sufficient to keep up so large a house and therefore a new Vicarage was built in Paul Lane and completed in 1937. Consisting of a brick built, typical 1930’s design, with horizontal bands of contrasting brick work going right round the house. The windows were large rectangular and multi-paned of the metal framed variety. Together with a detached garage, large gardens and an orchard. The last Vicar to occupy this house was the Reverend Rowland Parker. The Vicarage was finally sold for private use in 1985, when extensive remodeling took place and the entire building painted white. The Vicar of Winterton took over the responsibility for Appleby, along with Roxby and his own Parish. Our thanks go to Mr C Elerington for this informative article.